The Smart Keyboard Folio turns the iPad into a laptop, but there are better options. Pretty much every review of the iPad Pro tells you that you can unlock the screen with a double-tap of the Smart Keyboard’s (or Bluetooth keyboard’s) spacebar: One tap to wake it up and trigger Face ID, and another tap to dismiss the lock screen. That’s true. But it’s also true of any key. Try it. The spacebar is probably the easiest to tap, but you can use any key to do the same trick. Lock screen notes have been around for like forever. Much has been made of a really cool iPad feature: Lock Screen Notes. 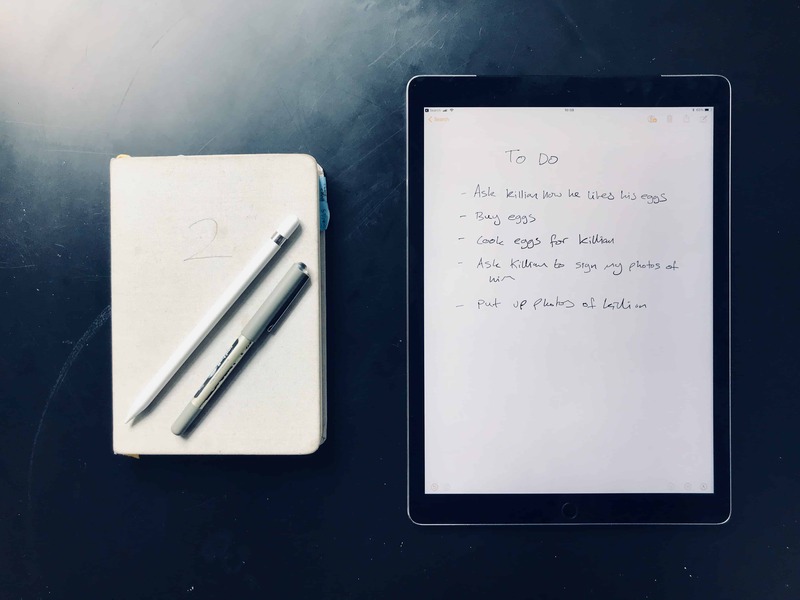 You tap the Apple Pencil onto the sleeping iPad’s screen, and it opens up a fresh note, ready for you to write or draw. But it’s not new. 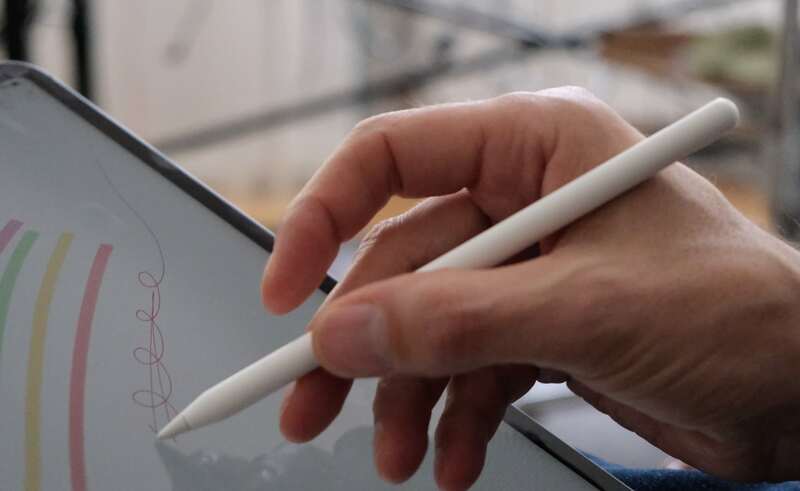 This trick has been around for years, and works on old iPads Pro with an Apple Pencil. The only new feature here is tap-to-wake. Previously you had to wake the screen with the home or power button before tapping the Pencil. Now the Pencil or a finger alone can wake the iPad. 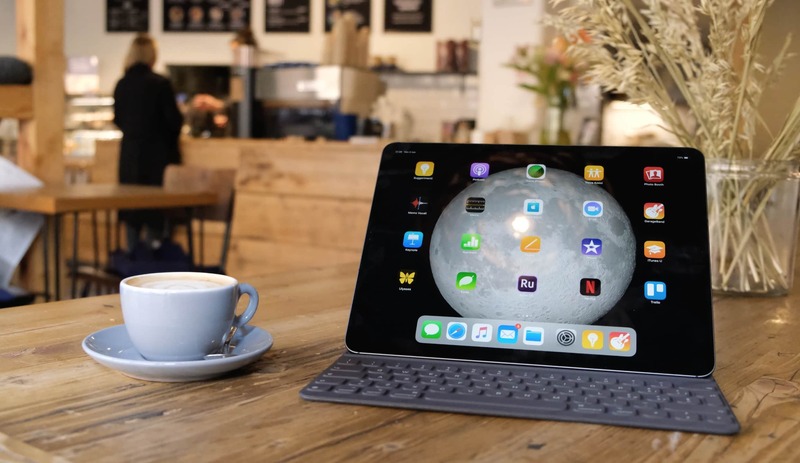 If you’re a tech blogger whose first experience of the iPad Pro was when they reviewed one a few hours after receiving it, then you probably spent most of your time with the iPad sat horizontally atop the Smart Keyboard Folio, and the Apple Pencil perched up top. In that scenario, the Pencil stays stuck, always charged and ready to deploy. But if you use the iPad like a normal person, you wander around with it on your hand. You use it without an attached keyboard. And you probably use it in portrait mode at least half the time, of not more. In all of those cases, the Pencil gets in the way. In portrait it’s always under your fingers. In landscape it still feels in the way. And any time you put the iPad down, the Pencil will get dislodged. The new Pencil 2.0 is still amazing, but its magnetic charging spot is just for temporary parking. It’s not a permanent home. 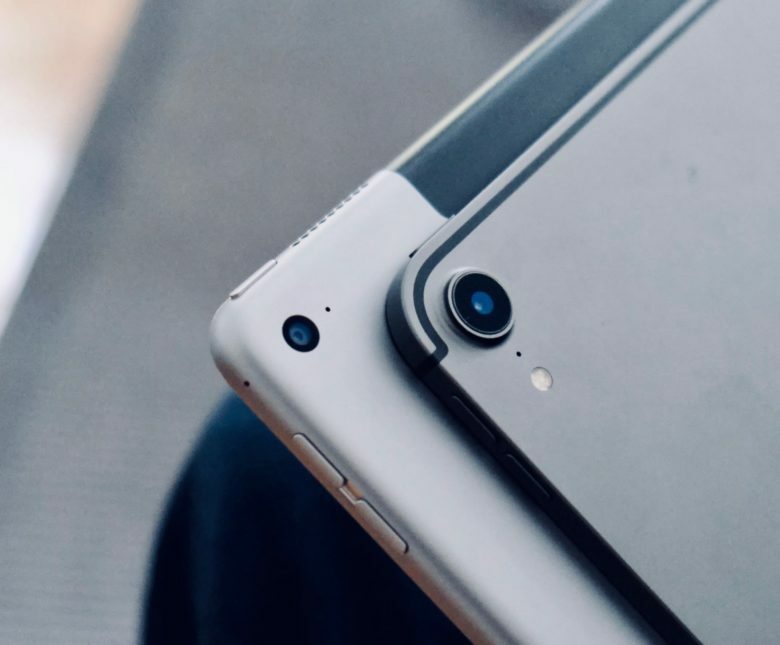 Until we get support for hooking up external hard drives (maybe in iOS 13, maybe never), the iPad’s USB-C port is functionally almost identical to the old Lighting port. You can plug in USB-C peripherals without an adapter, but really, how many of those do you have? Most of your accessories are probably USB-A, and will require a USB dongle or hub. You could do that with Lightning. Also, iPads have long been able to drive external displays. Now they can do 4K, but that’s more to do with the new iPads’ amazing CPU and graphics power. Even USB-C’s fast-charging makes little difference. 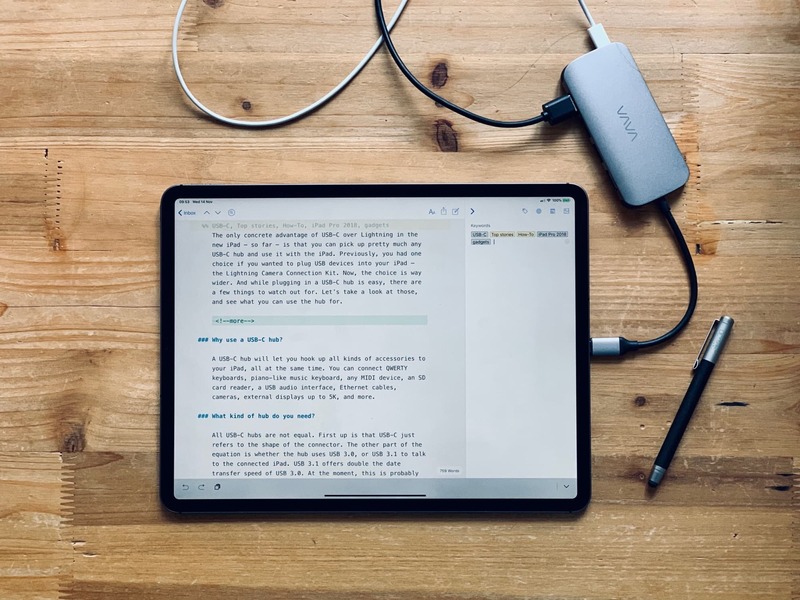 You could already fast-charge the old Lighting iPad Pro with a USB-C to Lighting cable. The bottom line is that nothing has changed. You’ve always been able to plug in USB devices with the right dongle. It’s just that now you need a different dongle. Zach Nelson’s iPad Pro teardown video was a snap. I’m not talking about Bendgate 2.0, where iPads are (supposedly) arriving banana-shaped straight from the factory. I mean the O.G. Bendgate, where YouTubers snapped brand-new iPads over their knees in pursuit of sweet YouTube ad-revenue shares. 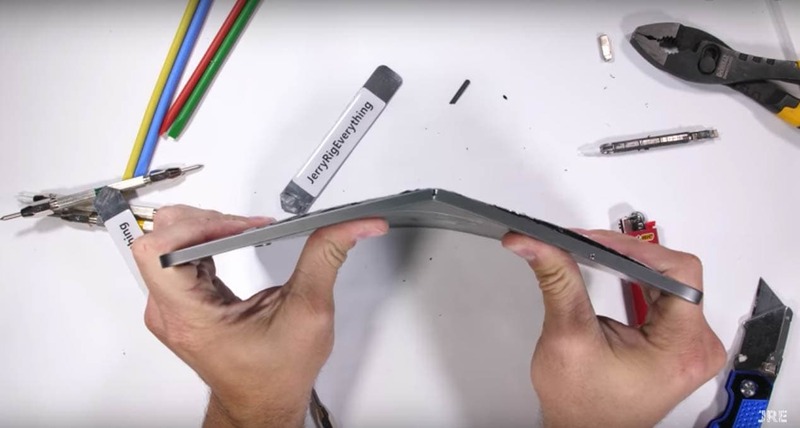 Can you bend an iPad Pro with your bare hands? Sure, unless you’ve just woken up in the morning, and are still as weak as a kitten. Take a look around you right now. How many other things can you see that could be bent with a bit of effort? The screen of your MacBook? Easy. Your Magic Keyboard? Totally doable — I know because I’ve done it. Magic Trackpad? Sure. Why not? I’ll tell you why not. Because you are a sensible adult, the kind of adult who can afford to drop a grand on a tablet computer. Treat it like you would treat any of your expensive purchases. If anything, the new iPads are even tougher than the old ones. My old first-gen pro has a bunch of dents in the back, all from soft collisions with the corner of my soft wooden desktop. This new iPad really is great, from the screen, to the speakers, to the sheer speed of the thing. It’s light, thin, and amazing. I love mine. I think you will too. Well, I think you’ll love your own iPad Pro, is what I mean. Let’s not let things get weird here.